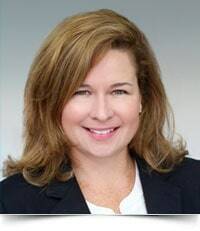 Meredith C. Schilling is a member of Reger Rizzo & Darnall’s Litigation and Insurance Practices Groups in the Firm’s Philadelphia, PA office. Ms. Schilling focuses her practice on litigating complex insurance coverage issues arising in first-party property and casualty claims and defending bad faith and extra-contractual claims in both state and federal courts. Ms. Schilling's first-party property experience includes litigating claims under the National Flood Insurance Program’s Standard Flood Insurance Policies issued by write-your-own insurers. Ms. Schilling represents insureds and self-insureds in third-party claims in a wide range of litigation matters, including personal injury, premises liability, automobile liability and construction site accidents. Prior to joining Reger Rizzo & Darnall, she worked with several other Philadelphia-based Firms, and also previously served as Staff Legal Counsel with Zurich North America.